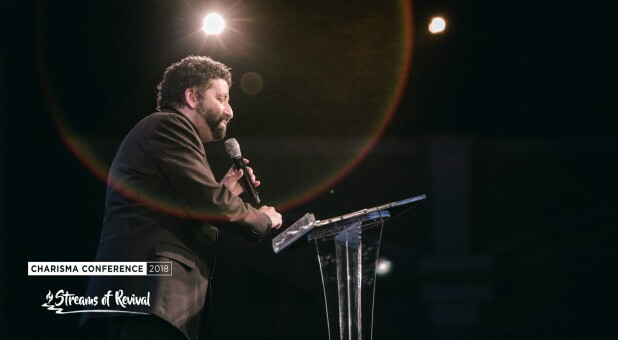 Rabbi Jonathan Cahn shared his salvation story when he addressed the Charisma Conference over the weekend. Cahn, the author of best-selling books such as The Harbinger, The Mystery of the Shemitah, The Book of Mysteries and The Paradigm, said it took a train hitting him to wake up spiritually. "I would not be saved if I was not hit literally by a literal locomotive train," Cahn said. He knew then he better get saved. Going off his Hebrew background, Cahn knew Moses met God on a mountaintop, so the rabbi decided to do the same. "So I found a mountain. I didn't know where it was, I just found a mountain in the dark and went up to the top of the mountain," Cahn says. "I found a rock, I kneeled down and I gave my life to the Lord." Years later, the Lord led Cahn back to the mountain, and he brought his Bible, a prayer shawl, a flash light and a shofar. He found the same rock and "I had a great time with God." 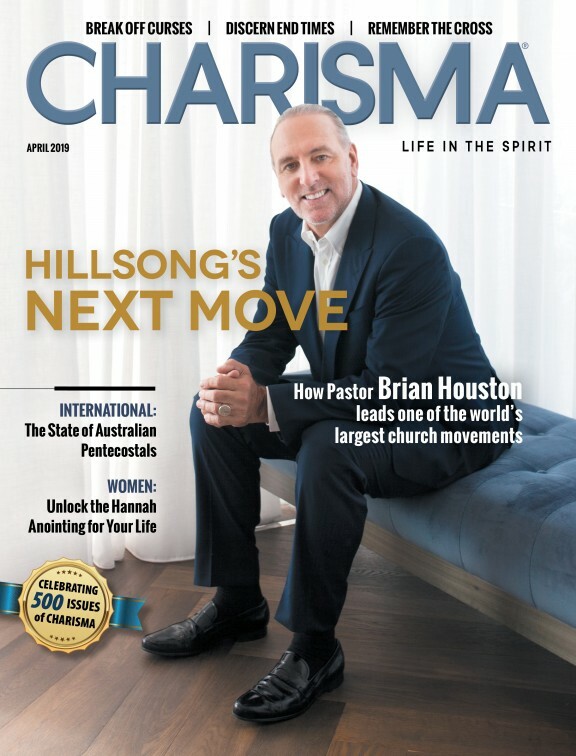 The next day, Cahn was preaching at a conference when he met a woman who knew all about the mountain. She gave him a picture of a man standing on a mountain with a prayer shawl and a Bible. "I said, 'That's strange, because that was me last night,'" Cahn says. Cahn told the woman all about the mountain when she said, "I know the mountain. ... That mountain is dedicated to Satan." Cahn was shocked, but told her his salvation story. "On top of it? That's where they gather together," Cahn says the woman said. "Well, I got saved. There's this rock I kneeled down on," Cahn told the woman. "That's the altar!" She said. "And that kind of explains my walk," Cahn says. "It has not been normal from the very beginning." You can find his testimony here, at minute 46.